The smartwatch game is dominated by Apple and Samsung is still the leader in terms of smartphone shipments but there is a gray area in between and the nubia Alpha is the device that aims to bridge the gap. Today marks the official launch of pre-orders for the smartphone (as nubia refers to it) in China and the device will begin shipping by April 10. The main highlight of the device is the 4-inch OLED screen. It's quite a unit to put on your wrist and offers solid build quality. The Snapdragon Wear 2100 SoC combined with 1GB RAM and 8GB storage covers the internals. There is a 5MP f/2.2 camera on the front right side with two buttons on the side and a sensor on the left. The battery is 500 mAh has a propitiatory pin connector for charging. The software is a custom version of Android and performance on the press units at MWC was cumbersome. Overall the device looked half-baked which should be expected from a first gen product. The standard black Alpha 4G eSIM will go for CNY3,499 ($520/460) while the stainless steel and 18k gold version will set buyers back CNY4,499 ($670/595). Launch day buyers will also receive a pair of wireless nubia Pods (CNY799). This will not become popular for sure. 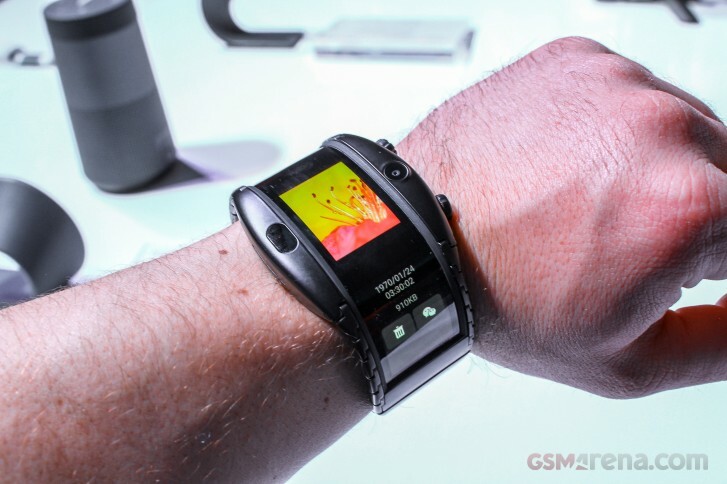 Personally I think smartwatch with sim card is much more convenient than Nubia Alpha.